There's a greenhouse at the Jardim Botânico da Universidade de Coimbra. A beautiful greenhouse with white painted windows. During the last two years I have been visiting Coimbra regularly, and in almost all my visits we have been walking around the garden. It is weird, though, that in none of those occasions we could have seen the inside of the "mysterious" glass building. One day, after a visit of some friends to the city, I was having a walk with him there again and, in an attempt to take pictures of the interior of the greenhouse through one of the holes on the broken glass, an old man came to us. "What are you doing? ", he said, "Oh, we are just trying to take some pictures. ", "Alright. Come here and take the picture you want to take. But quickly, you just have two minutes." He opened the metal door and we went in. The air smelled like an intense mixture of moisture and flowers. 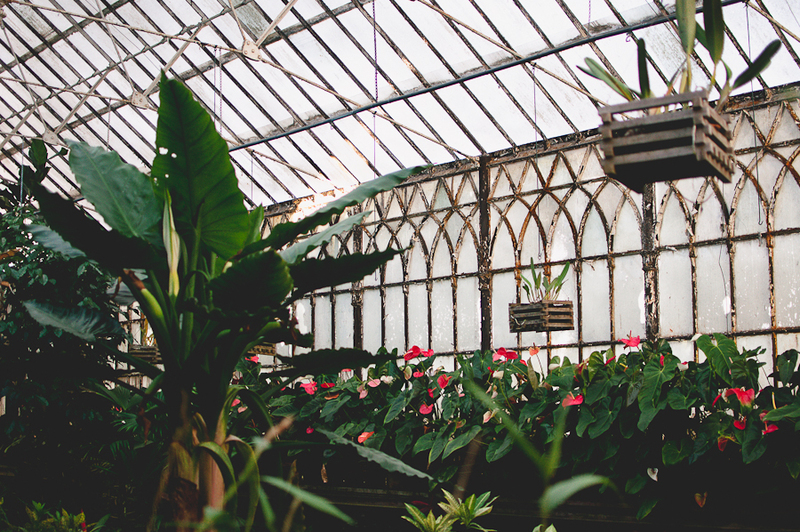 He showed us, quickly, the different rooms of the greenhouse and I could not help being astonished and take pictures without even looking through the lens. In just two minutes we were out, and I had the feeling of having been in a wonderful place, of which I only keep a vague memory and four pictures.